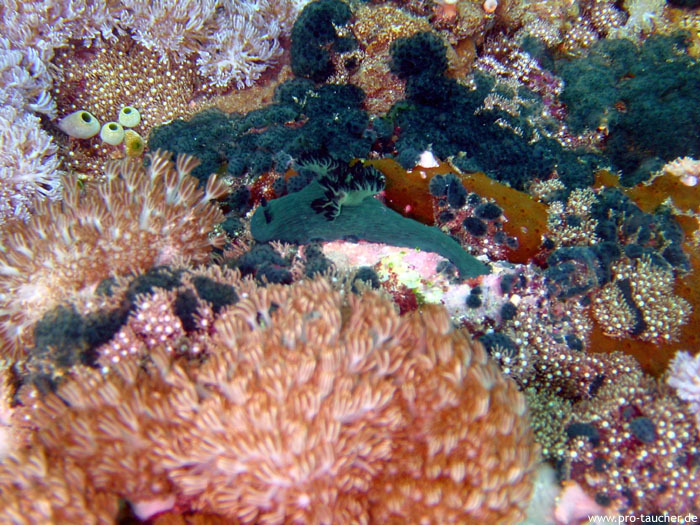 Super nice coral garden with some sometimes very large overhangs. 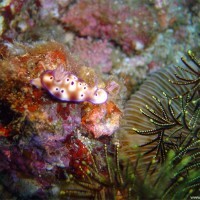 Octopuses can be found in almost every gap. 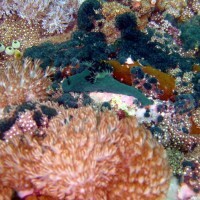 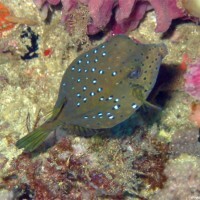 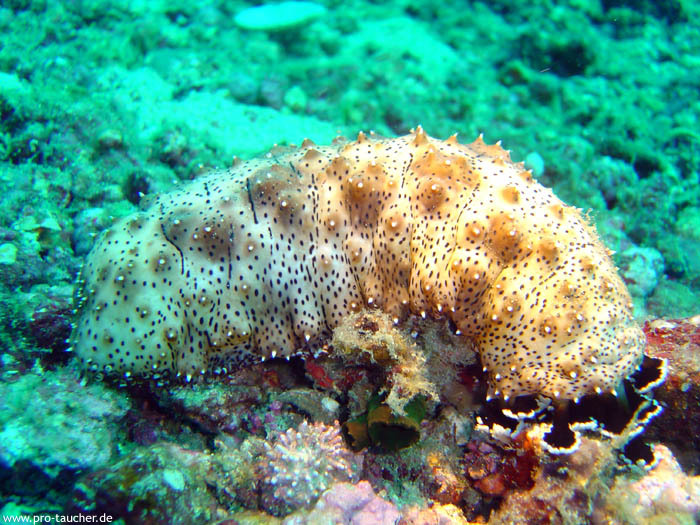 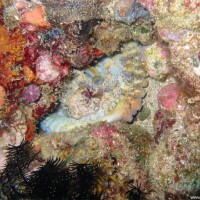 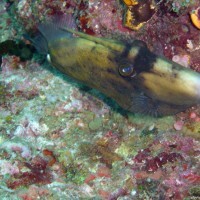 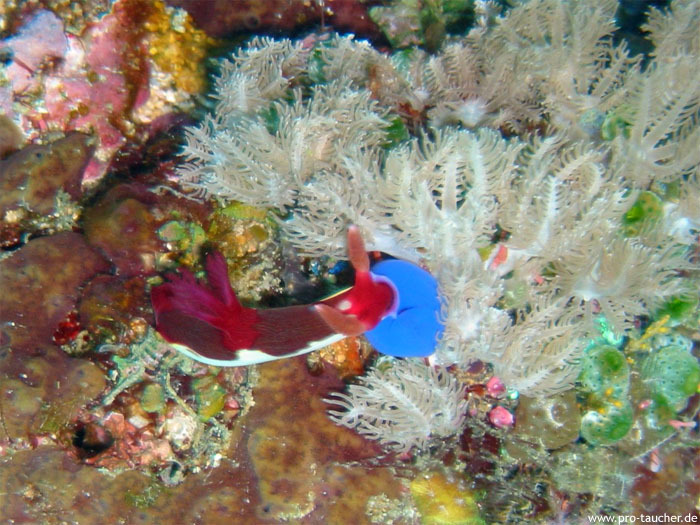 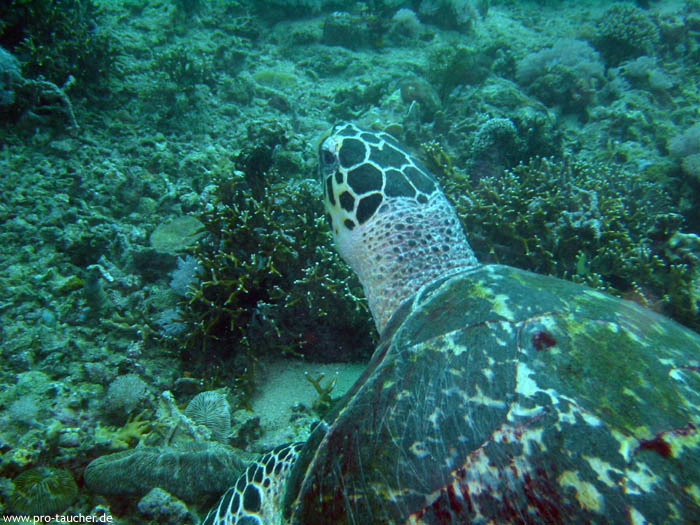 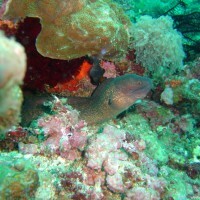 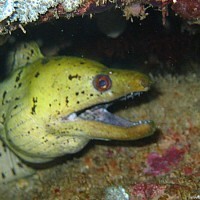 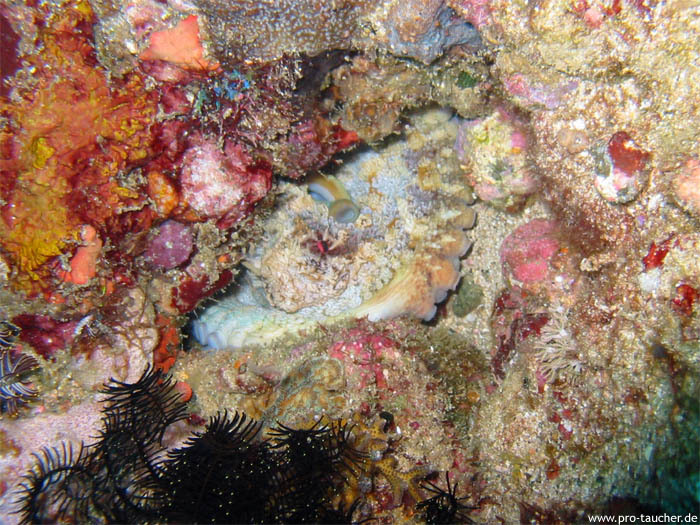 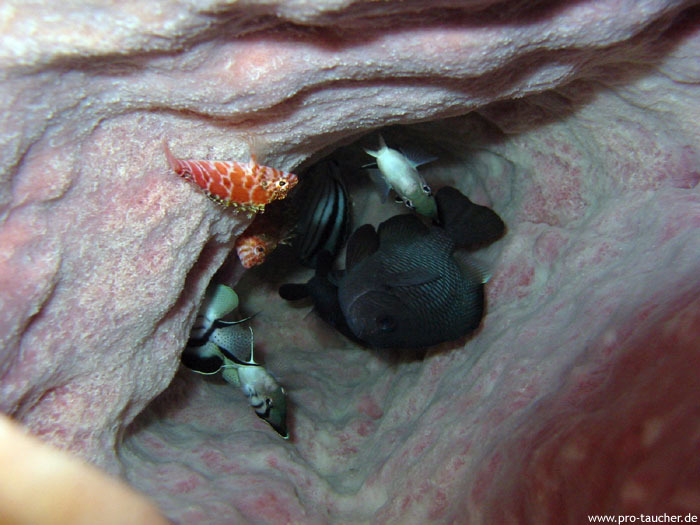 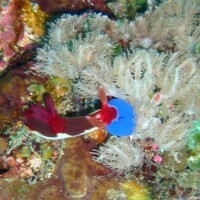 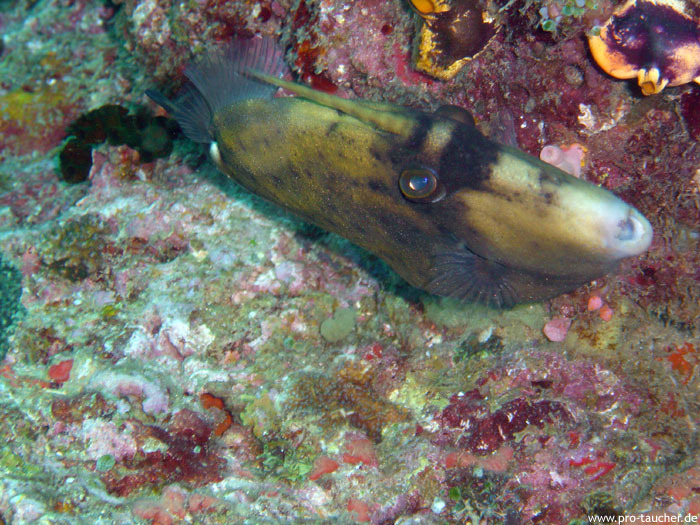 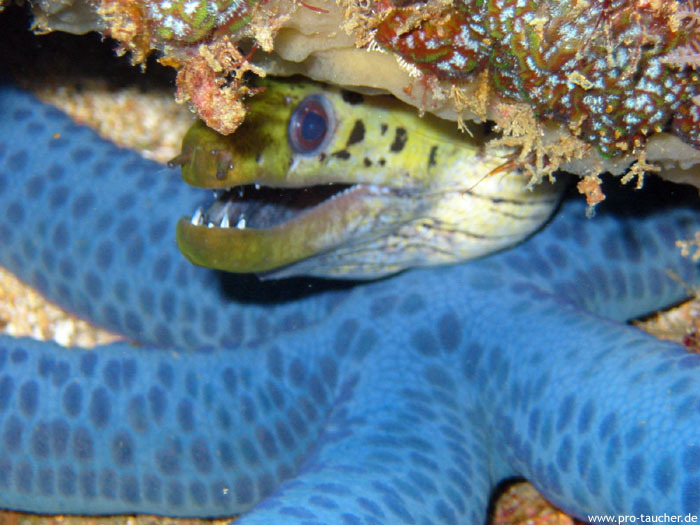 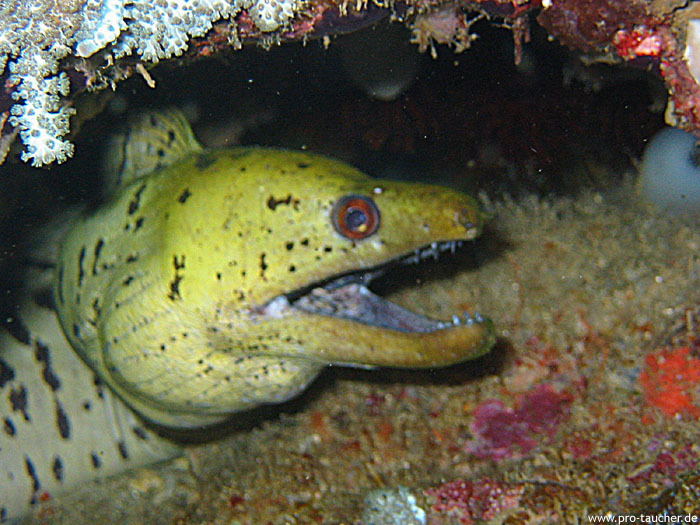 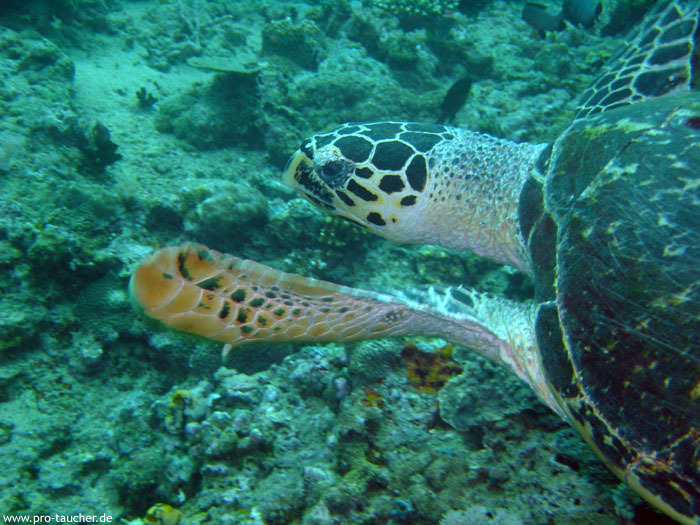 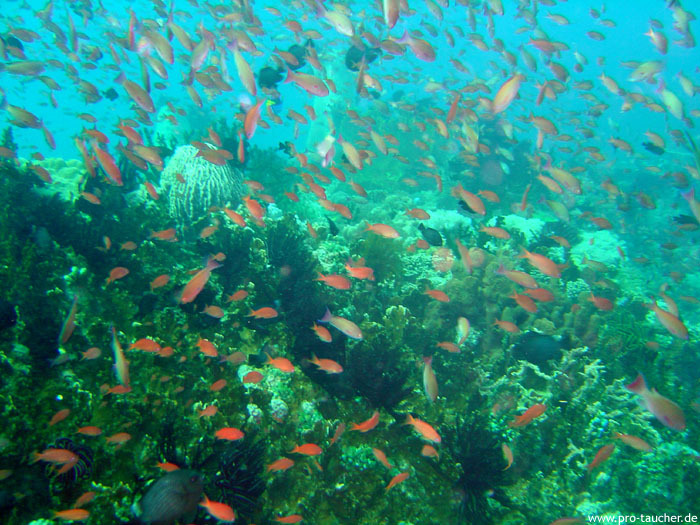 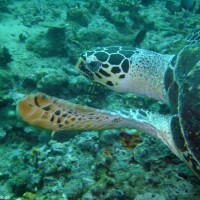 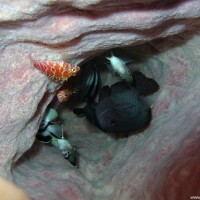 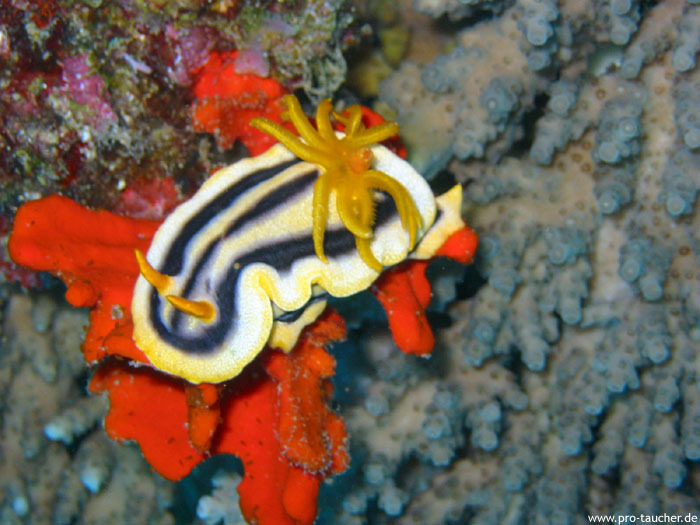 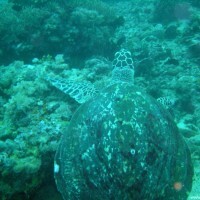 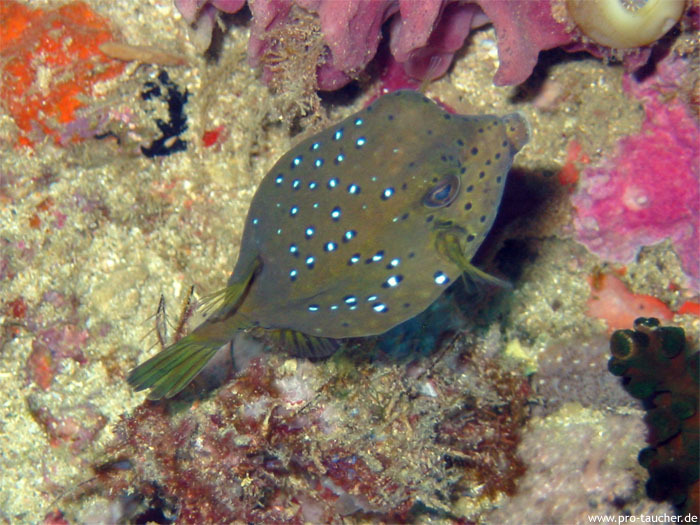 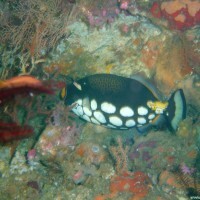 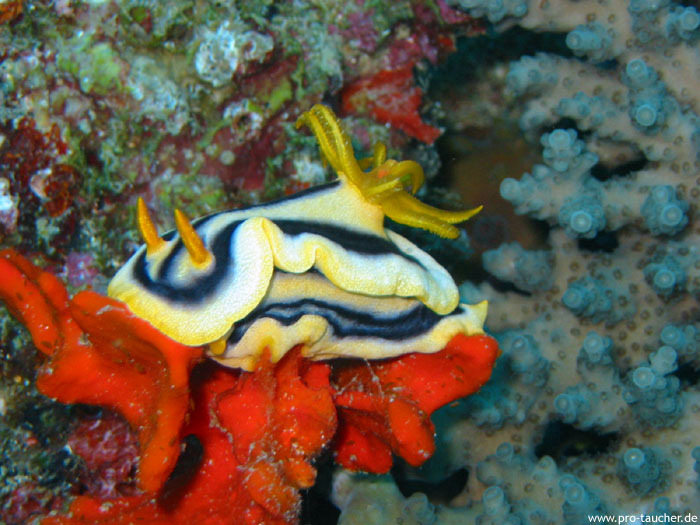 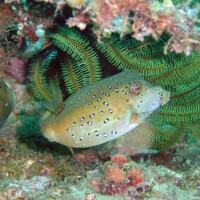 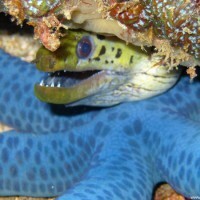 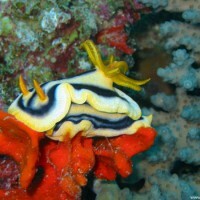 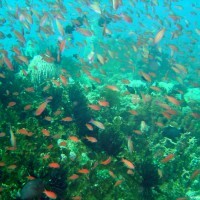 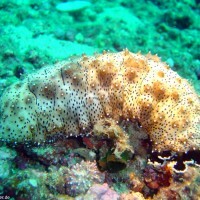 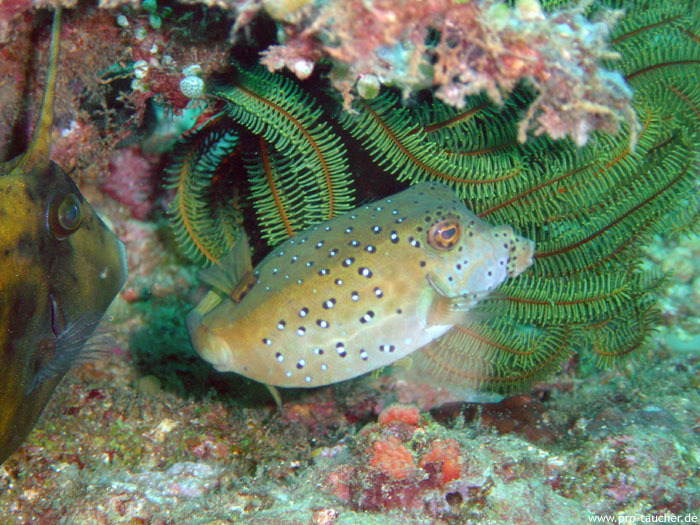 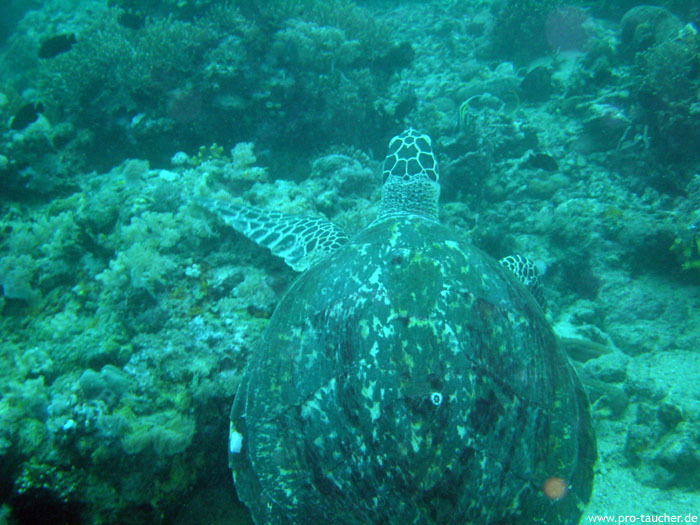 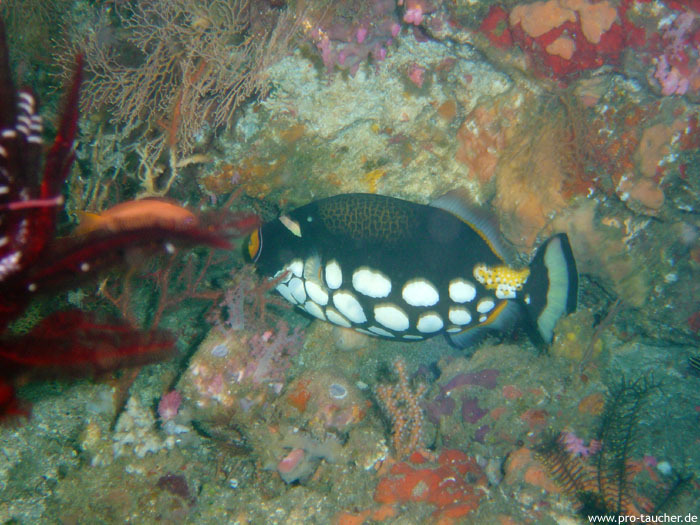 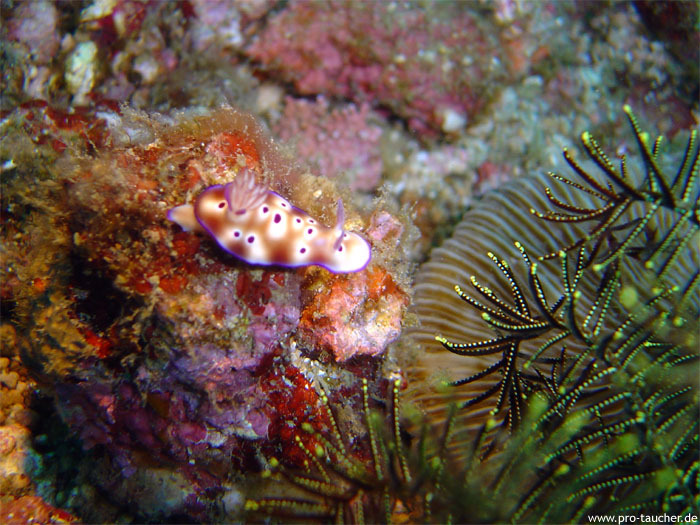 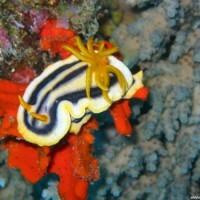 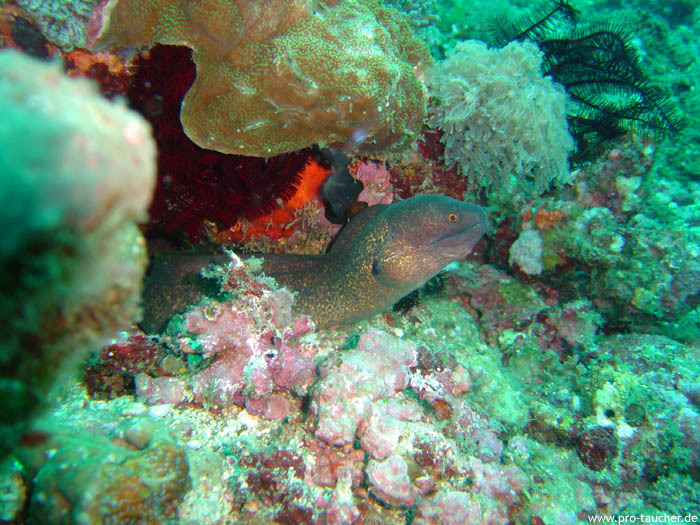 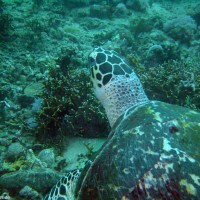 Furthermore, it has black ribbon eels, leopard triggerfish and green triggerfish, as well as many boxfish.